Medbox Inc., one of the most prominent publicly traded companies in the cannabis space, is grappling with an issue that could become more common in the marijuana industry: class-action lawsuits. The suits, one filed on Jan. 16 and another on Jan. 28, are both based on allegations that the company engaged in fraudulent activity and stock manipulation that artificially boosted the price of Medbox shares early in 2014. Many shareholders who bought at those inflated prices eventually took a bath when the stock plummeted later in the year, according to the suit. “There are a lot of people who have big losses on paper,” said attorney Phillip Kim, a partner with the Rosen Law Firm, which filed the second suit. He estimated that his firm has been contacted by hundreds of shareholders, several of whom lost tens of thousands of dollars after purchasing Medbox stock last year or in late 2013. The allegations have hammered Medbox stock, which had already plummeted last year from a high of around $74 in early January to under $6 by the close of 2014. On Feb. 4, the stock closed at $3.28 a share – down 33% since the first lawsuit was filed. Los Angeles-based Medbox provides technology and consulting services to the cannabis industry. Company founder Vincent Mehdizadeh said in an email that the suits are “completely frivolous.” He also said in a separate statement that the allegations of wrongdoing are baseless. Regardless of how the suits turn out, the development highlights the challenges and risks publicly traded companies in the cannabis space face and could be a sign of things to come, experts say. Shareholder lawsuits “are not unusual for a stock like this,” Kim said. Kim’s firm filed similar lawsuits against two other publicly traded marijuana-related companies last April: CannaVest, a Las Vegas-based company that specializes in hemp products, and GrowLife, a Seattle cultivation company that traffics in agricultural goods. Both of those cases are still pending. But Kim said 99% of such lawsuits are settled out of court, and he thinks that’s probably a likely outcome with Medbox. He also said he expects the two suits to eventually merge into one case. Publicly traded cannabis companies could run into issues when reporting financial information if they’re not careful. The class-action suits filed against Medbox allege, among other things, that the company overstated revenues by recording sales that had not yet been earned, offering a distorted view of the firm’s financial health. Medbox acknowledged some mistakes in a statement released Dec. 30, saying that it would have to restate financial reports for the past five quarters and potentially for other periods as well. The revelation triggered a default on the company’s loans and further depressed Medbox stock. Other cannabis companies that trade publicly – or are considering it – should take note: Any missteps in reporting financial data could be seen as a willful effort (rightly or wrongly) to mislead investors. Another issue is that there’s been an increase in “unscrupulous” stock promoters pushing cannabis companies of all types to go public so they can make a quick buck by inflating the stock price and then jumping ship, said California attorney Khurshid Khoja. Khoja added that that may not be precisely what happened in Medbox’s case but said he’s not surprised to hear about the lawsuits given the company’s tumultuous stock history. The company’s share price – like many marijuana stocks – has fluctuated wildly over the years, reaching extreme highs only to come crashing down. Cannabis stock analyst Alan Brochstein said Medbox has a less-than-stellar reputation in the industry, meaning many investors likely aren’t giving it the benefit of the doubt. As far as any kind of resolution for shareholders, Brochstein said he isn’t very hopeful. Typically in cases like these, even if there is a settlement reached, it doesn’t equate to a big payout for those who may have lost thousands of dollars, he said. The good news from Brochstein’s point of view is that the case likely won’t have much of an impact on other publicly traded cannabis companies, or on the industry at large, because such suits are run-of-the-mill in the business world. “I follow the sector very closely, and I don’t think it hurts the sector. 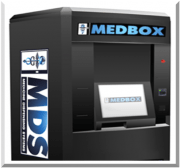 People are aware of many of the issues regarding Medbox,” Brochstein said. Lions,Bears,& Tigers OH MY! Really? If ya can’t handle the heat. Taking a loss in the stock market is caused by selling at a price less than what you pay for the stock. Was someone twisting their arms? Most of the time it’s people who get greedy. There are very simple mathematical equations that will tell any one when it is time to sell, keeping one ahead of the software sell signals during a rally. Use em! I agree with the software statement. I want to know how to get it as well as how to learn how to use it. But I thought it was a goldmine? I just love capitalism and Darwinism. USA is the greatest place on earth. I agree that MDBX is questionable. However also this self proclaimed “cannabis stock” expert Alan Brochenstein is far from being an expert. His opinion has often been shown to be completely false as if he was part of the pump/dump himself. There are some great companies out there, but I am not going to take his advice. In this case I think in this one case he is right however. Maybe he is also trying to clean up his act to keep away from a class action suit for ways he has slammed other companies and promoted some who now have plummeted.